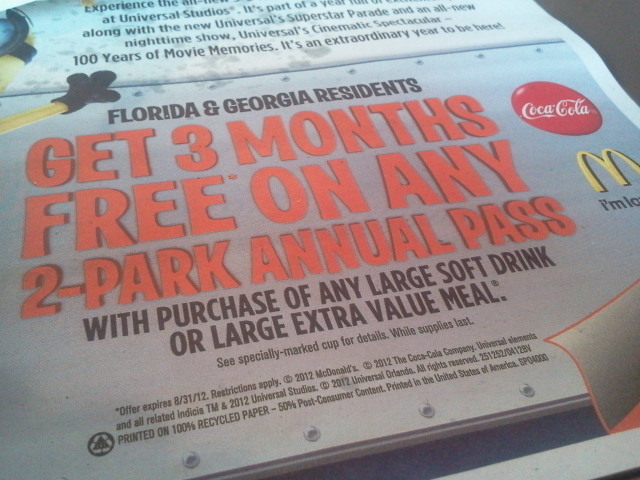 June 2012 – The promotional deal from McDonalds is for Florida and Georgia residents. There isn’t a promo code, but the deal is with McDonalds. You get to add an extra 3 months to your purchase of a 2 park season pass. 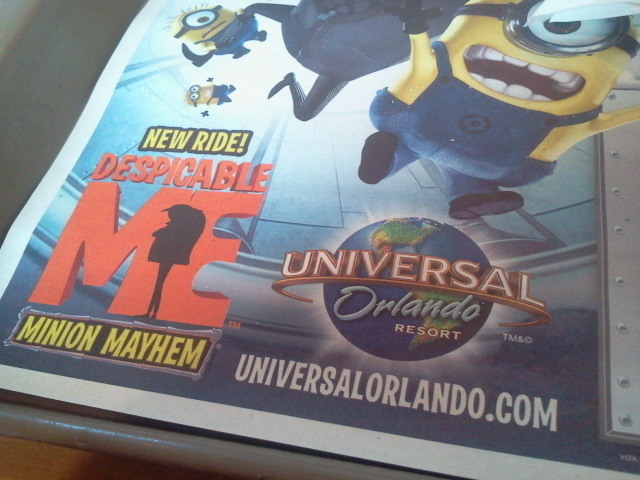 The promotion is also for highlighting the new Despicable Me ride – Minion Mayhem. Sounds like a great summer all year in Florida!